Im trained in HD Brows so I’m all up to speed on this amazing brand and company, but my favourite product by far – the HD Brows pro pencil! Unlike any other brow pencil I’ve tried. 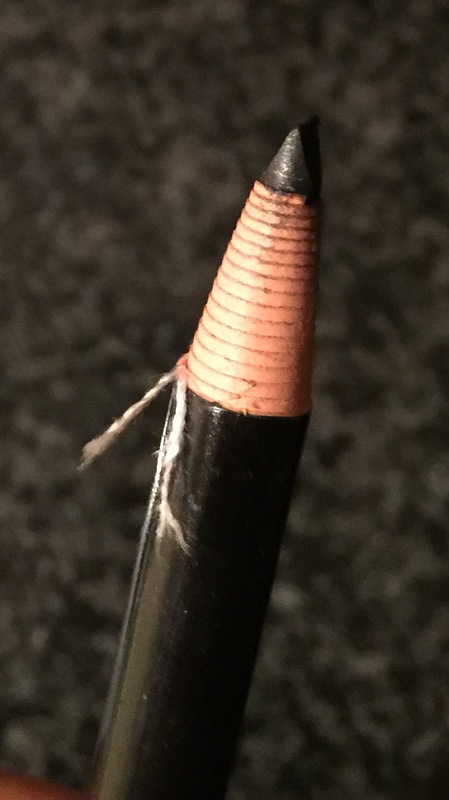 This brow pencil is unwound by string and sharped with a special knife, to create a sharp blade like end to the pencil. this can then create the most natural looking filled brow gaps the world has ever seen! Simply sharpen ( there are instructions on their website!) and just sweep in short sharpe motions to create amazing brows! 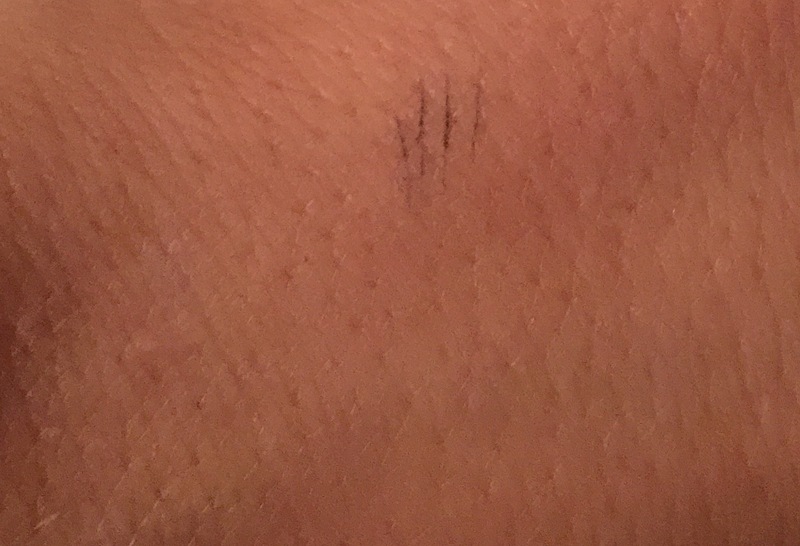 I have the darkest shade, which for my eyebrow hairs that are quite dark is great. Don’t forget the hair strokes are drawn in, not the shape so a little darker is fine. 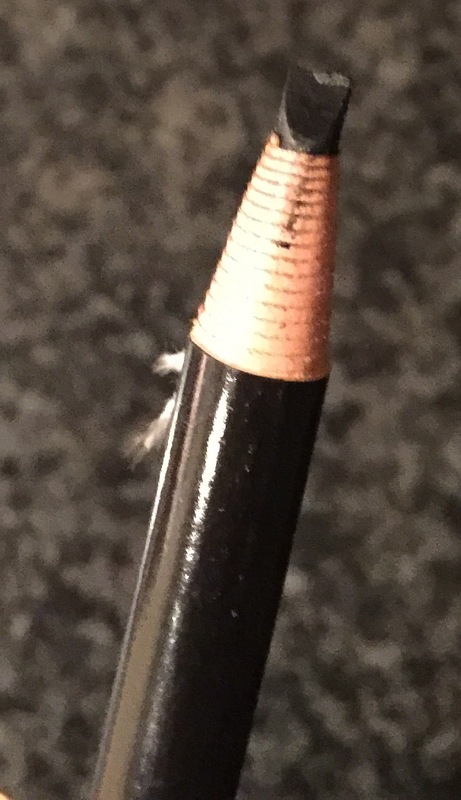 The pencil is a unique texture its not to ‘fluid’ and it not too ‘dry’ but very pigmented in the best way! HD Brows pro pencil in the hair. 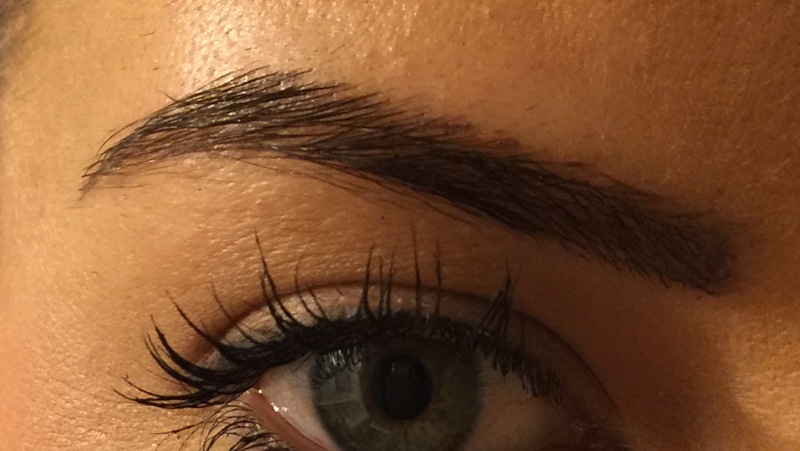 You can see here how you can get very fine hair strokes so easily to fill in the brows with minimum effort and great natural looking, polished and perfect results! HD Brows pro Pencil drawn on mimicking hair. Previous Article← Merry Christmas, Happy Holidays & Happy New Year!